The royal wedding date of Prince Harry and Meghan Markle is set on May 19, 2018. The wedding date of Prince Harry and Meghan Markle will clash with one of Britain’s biggest event which interests Prince Harry’s older brother Prince William. Prince William, who also is a president of The Football Association will have to skip the FA Cup Final to attend Prince Harry’s wedding. Of-course Prince William to be Prince Harry’s bestman at the wedding. Prince Harry and American actress Meghan Markle got engaged last month in London. She is also invited by Queen Elizabeth II to spend Christmas holidays at the royal palace of London. Also Read: Breaking Royal Protocol: Meghan To Celebrate Christmas With The Queen & Prince Harry! 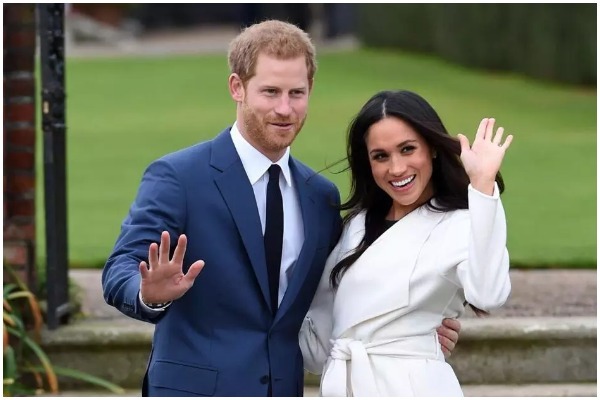 Bride-to-be Meghan Markle will soon apply for British citizenship and the couple will be both baptized. The wedding date is set just months after Prince Harry’s sister in law, Kate Middleton, is due to give birth to her third child with Prince William. Previous : Watch: Akshay Kumar Starrer Padman Trailer Is Out And It Is Winning our Hearts! Next : Protest Against Sunny Leone’s New Year Performance in Bengaluru, Activists Threaten Mass Suicide!